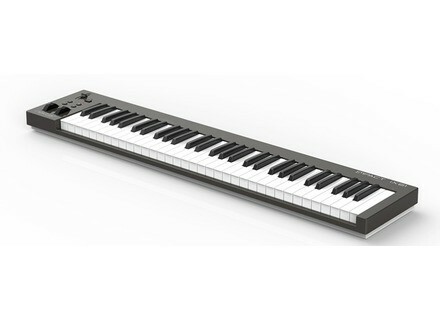 Impact iX61, 61-Key MIDI Keyboard from Nektar. Both new Nektar Impact, iX 49 and 61 keyboards are compact models equipped with a single USB port that ensure MIDI communication. The difference with the other Impact controllers is that the USB is now Class Compliant so you can use them to control your DAWs on Mac and PC without specific drivers, but also your apps on iPad, iPod Touch and iPhone via the Apple camera connection kit. The Impact iX 49 and 61 include integration features for 11 DAWs (Bitwig Studio, Cubase, Digital Performer, FL Studio, GarageBand, Logic, Nuendo, Reaper, Reason, Sonar and Studio One), and ship with Studio One Artist from PreSonus. Both new Impact iX 49 and iX 61 are available at authorized dealers with street prices of $99.99 / 89.99€ for the iX 49 and $119.99 / 99.99€ for the iX 61. More info at www.nektartech.com. Toontrack Made of Metal EZX expansion Toontrack is off to a great start for its Metal Month with the Made of Metal EZX drum expansion for EZdrummer produced by legend Colin Richardson. Auxy, a free and easy sequencer on iPad Auxy is a new app for iPad that allows for easy creation of beat, bass line and melody sequences.